Dr. Quincy Samus, an Associate Professor in the Department of Psychiatry and Behavioral Sciences, is an applied gerontologist, trained in epidemiology and health services research. Her research focuses on the care and delivery of health services to older adults and families affected by mental health conditions, primarily dementia, living in community and residential care settings. 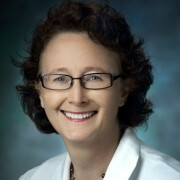 She has served as the lead field investigator or Principal Investigator on several large projects including the Maryland Assisted Living Study (MDAL), an epidemiological study of mental health disorders in assisted living (AL); The Maximizing Independence at Home Trial (MIND at Home), a randomized trial to test the efficacy of a novel community-based dementia care coordination model; and the Quality of Mental Health Care in assisted living study. The overarching goal of her work is to improve care quality and outcomes through translation of evidence-based practices to real world settings. A world expert in the care and treatment of patients with Alzheimers and related dementias (AD), he has carried out pioneering work on the epidemiology and treatment of neuropsychiatric features of AD. His team is developing biomarkers to accelerate treatment development for AD and other forms of brain injury while designing and implementing innovative clinical trials. He leads efforts to ensure the provision of state of the art Dementia Care for people with dementia in the community. Dr. Lyketsos co-leads a Hopkins-wide effort to advance recovery of the wounded warrior and his family. He also serves on the NFL Players Association Mackey-White Mild Traumatic Brain Injury Committee for which he Chairs the Long-Term Outcomes subcommittee. Dr. Johnston is a geriatric psychiatrist and co-investigator of MIND at Home, a study measuring the effectiveness of pro-active care coordination to persons with memory disorders at home. In 2008, the American Association for Geriatric Psychiatry created the AAGP Deirdre Johnston Award for Excellence and Innovation in Geriatric Mental Health Outreach Services, to encourage programs providing mental health services to the frail elderly in their homes. Betty S. Black, PhD, is Associate Professor of Psychiatry at the Johns Hopkins School of Medicine in the Division of Geriatric Psychiatry and Neuropsychiatry. She has a joint appointment in the Department of Health Policy and Management, and is a faculty member of the Johns Hopkins-University of Maryland Center for Research on Services for Severe Mental Illness. 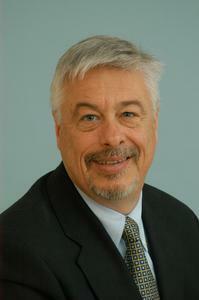 Dr. Black is also a core faculty member in the Johns Hopkins School of Nursing Center for Innovative Care in Aging. Dr. Black received her BS from the University of Tennessee, her M Ed and Ed S degrees at the University of Florida in mental health counseling, and her doctorate at the Johns Hopkins School of Hygiene and Public Health with concentrations in behavioral sciences and gerontology. Her work in research focuses on need and unmet need for mental health care, quality of life, decision making and end-of-life care for people with dementia and ethical aspects of dementia research. 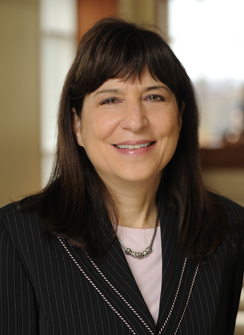 Dr. Laura N. Gitlin, an applied research sociologist, is nationally and internationally recognized in the areas of nonpharmacologic approaches in dementia care, family caregiving, functional disability and aging in place. She is a well-funded researcher, having received continuous research and training grants from both federal agencies and private foundations, including the Alzheimerâs Association and the National Institutes of Health for over 24 years. 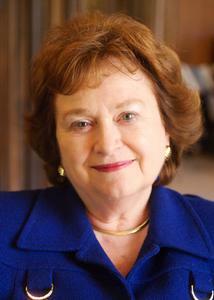 Her programs of research include understanding adaptive processes in old ageâparticularly with the use of assistive devices and environmental modifications—psycho-social-environmental approaches to helping older people with physical frailty age in place, nonpharmacologic approaches to enhancing quality of life of persons with dementia and their family caregivers, mental health disparities in older African Americans and depression treatments, and translating and implementing evidence-based interventions for family caregivers, individuals with dementia, and older adults with functional difficulties. She is developing with colleagues the Johns Hopkins University School of Nursing Center for Innovative Care in Aging which will examine issues related to developing and testing health promoting interventions for older adults and their families and implementation science. Dr. Davis is currently the Eugene and Mildred Lipitz Professor in the Department of Health Policy and Management and Director of the Roger C. Lipitz Center for Integrated Health Care at the Bloomberg School of Public Health at Johns Hopkins University. The center strives to discover and disseminate practical, cost-effective approaches to providing comprehensive, coordinated, and compassionate health care to chronically ill people and their families. 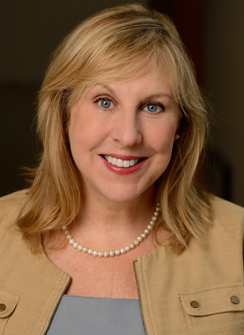 Dr. Roth is currently the Director of the Center on Aging and Health (COAH) at Johns Hopkins University and a Professor in the Division of Gerontology and Geriatric Medicine. COAH is an interdisciplinary research center with core investigators from the Schools of Medicine, Public Health, and Nursing. 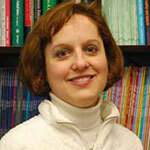 Prior to joining the faculty at Johns Hopkins in 2012, Dr. Roth was a Professor of Biostatistics in the School of Public Health at the University of Alabama at Birmingham. He have over 25 years of experience as an investigator in the areas of gerontology, behavioral research, and applied statistical modeling. Dr. Roth have specific interests in the psychosocial aspects of chronic health conditions, both for patients and their family caregivers. This includes considerable research on the effects of caregiving for chronic neurological conditions such as stroke-related disabilities and dementia. Areas of statistical expertise include longitudinal analysis approaches, structural equation modeling, latent variable analyses, and mediation modeling. I'm interested in latent variable methods that are useful in mental health research. I'm also interested in design of psychiatric clinical trials, including methods of randomization and sample enrichment. "I pursued applied health economics because I wanted to help shape decisions regarding the costs and real-world effectiveness of medicines and other treatments. Healthcare resources are limited, so this research is critical to informing which treatments should be covered by plans and chosen by patients and healthcare providers." Dr. Frick combines his knowledge of economic analysis with clinical and epidemiological insights from his colleagues to produce cost-effectiveness analyses that bring the tools of economic decision making to policy-makers. 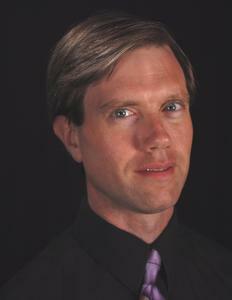 He has focused on community-based interventions as well as clinical care. At present, his main focus is cost-effectiveness studies dealing with eye care and nursing. 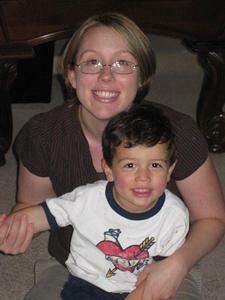 He has also worked in areas including obesity and oncology. His work has been a combination of efforts local in Baltimore, throughout the United States, and at the global level. Moving ahead, his interest has begun to focus on how to make the findings relevant to real world decision makers. Jennifer Wolff is a gerontologist and health services researcher who studies community-based chronic and long-term care delivery for frail and multimorbid older adults, with a particular emphasis on family caregiving. She is interested in understanding how the composition and experience of family caregivers is changing over time, how family caregivers navigate the medical system to facilitate health care for the individuals to whom they provide assistance, and the role of the medical community in supporting family caregivers. Dr. Wolff is a core member of both the Roger C. Lipitz Center for Integrated Health Care and the Health Services Research and Development Center and holds a joint appointment in the Johns Hopkins School of Medicineâs Division of Geriatric Medicine and Gerontology. Dr. Nancy Hodgson is committed to exploring how to incorporate evidence-based findings into geriatric nursing practice in meaningful ways. Her program of research emphasizes the examination of factors associated with health-related quality of life in chronically ill older adults and the enhancement of science-based nursing practice in older adults at the end of life. Over the years, Dr. Hodgson has developed a program of research focused on palliative care in older adults with complex healthcare needs. 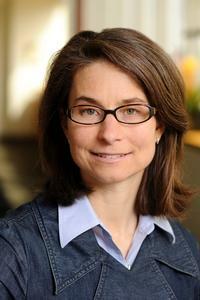 Her studies include an NIH-funded career development award investigating the efficacy of palliative, sensory-based interventions designed to ease neuroendocrine distress; and an American Cancer Society-funded study comparing the effectiveness of complementary therapy interventions in nursing home residents with cancer. Dr. Hodgson seeks to be at the forefront of developing the next generation of nonpharmacologic interventions to ease the suffering of her oldest and frailest patients. As part of a broader initiative to promote excellence in end-of-life care, she developed a nursing home based palliative care program in southeastern Pennsylvania, a nationally recognized model program for end-of-life care for nursing home residents.